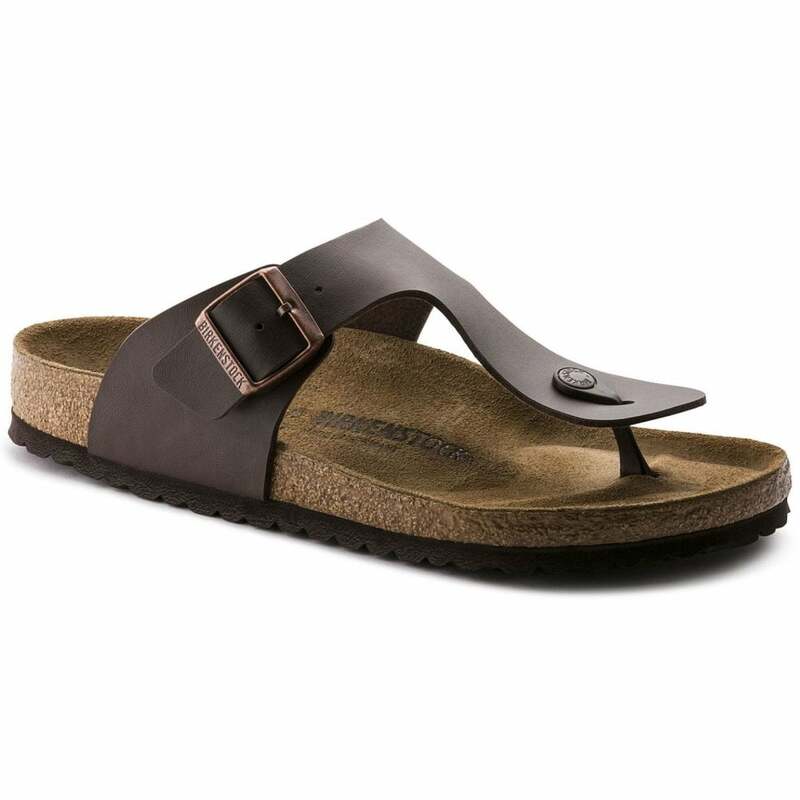 All Birkenstocks feature the original contoured footbed designed with one purpose in mind - walking in comfort. Thong style with Birko-Flor uppers designed for casual or formal attire. Features cork/latex footbed, adjustable strap and shock absorbing EVA sole. Due to the Reproductive Limitations of Photographic Equipment and Computer Monitors the Colour of the Product can vary from the Images Provided.